Happy Fri-Yay! I'm glad you stopped in to visit me today! Happy Labor Day Weekend! Let me just start by saying, that I am super excited for this weekend, mostly because it is a long one!! It's been monsooning all week, everyday we've gotten rain and cooler temperatures, and yesterday when I was taking the kids to school, not only was it cooler, but I love the smell, it wasn't just the smell of rain, but there was a smell of Fall in the air! Then last night, and this is why I love this time of year, all our neighbors left their houses to come out and enjoy the night air, seeing all the kids getting outside to play! Now I can get out of the house and actually do things, living here in the desert feels like the reverse, we don't get snowed in, we get shut in from the heat! Today it's supposed to be in the low 90Fs and I am loving it! With that, I am going to be sharing 4 Autumn/Fall decorating, baking, styling, decorating and gardening blogs for Follow Friday! here's your chance to pick one up Early!! This time of year I love Apples, and not just in pies, cakes, and breads! When I found this blog, which if you love food and travel, you are going to enjoy reading it, but this recipe just reminded me of Nana, when she ate her Apple pie with a slice of cheddar on Top, and I thought that was the strangest thing, but if you haven't tried it you should. This recipe, also intrigued me, because I only recently began enjoying roasted beets, I would never touch them before, until my Sustainable Cooking glass when one of the other students, twisted my arm to try them. This savory recipe, is on my to make list! 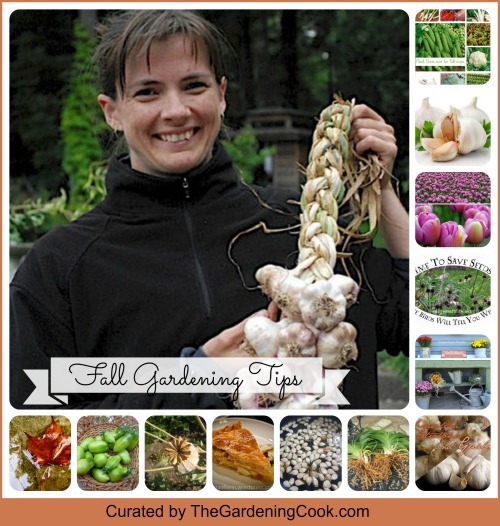 Great Fall Gardening Ideas from preparing gardens for the fall, planning for a Spring garden, Seed saving, to What to plant now! 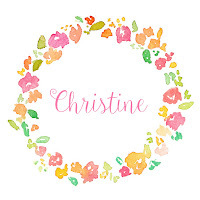 I don't know why I haven't seen this blog sooner, amazing diys and decor ideas! 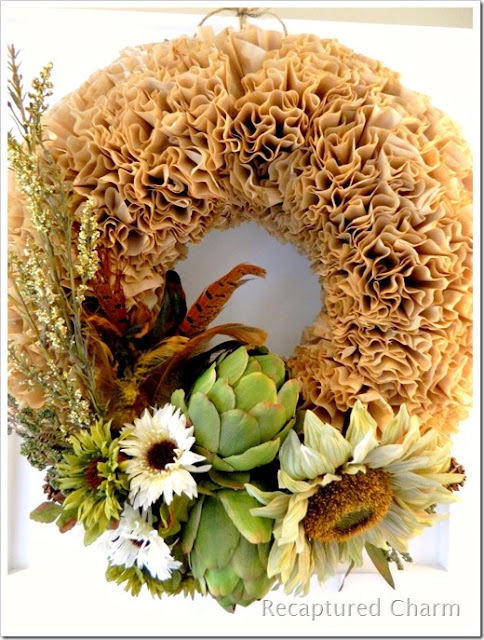 I love this whole wreath, with dried flowers, sunflowers, artichokes and feathers, and the best part it's a DIY! 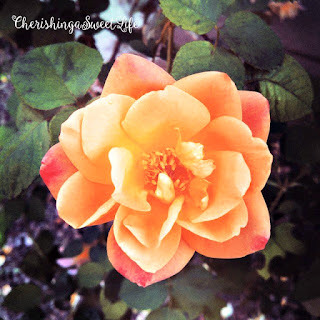 Another blog, I can't believe I hadn't found before. Her blog is both beautiful and charming. 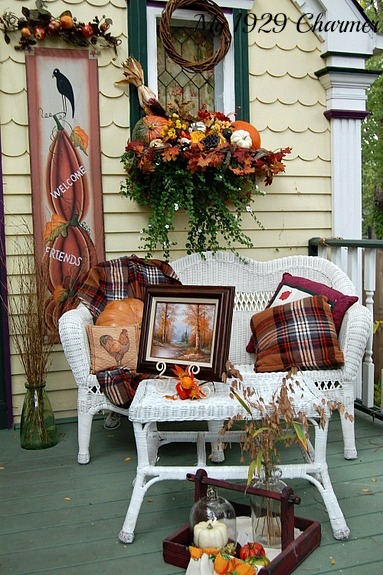 Ok, I've said it before, I am starting to get a little obsessed for decorating with roosters, but I love how cozy and inviting her porch is, from the window box, to the plaid pillow and throws! Hope you all enjoy your Labor Day Weekend! I'll have to check out there others.